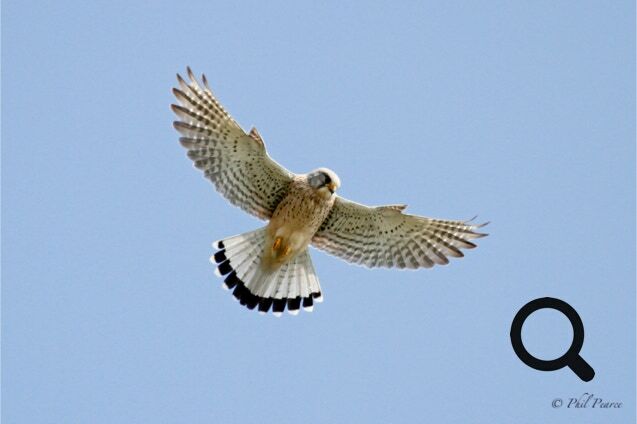 Kestrels are a familiar sight hovering beside a roadside verge or in a field. 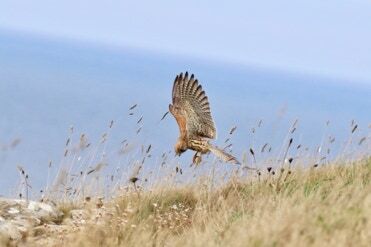 With head kept dead still and wings beating furiously this amazing bird of prey is a magnificent hunter. It has a long tail and pointed wings and hovers between 33 and 66 feet above the ground. It is in decline and has been included on the amber list. It weighs in at between 155 and 250g. There are around 46,000 breeding pairs in the uk.